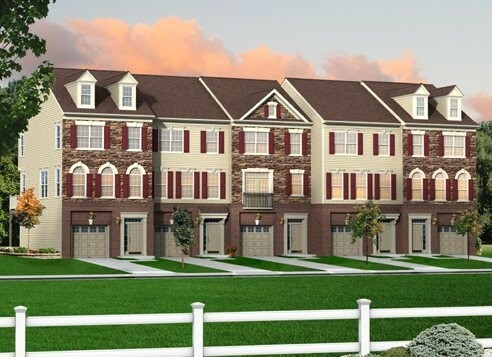 These beautifully detailed Three-Story townhome models distill the architectural charm of Bayberry's classic designs in a combination of crisp, tailored exteriors with large and dramatic interior spaces. The Novella features abundant design options that feature a lower-level bedroom with private bath; main floor front or rear kitchen layout with optional den or breakfast room; and a second level option for dual master suites, each complete with walk-in closets and light-filled master baths. Nine foot first floor ceilings, professionally designed kitchens, a finished lower level and lighting packages are all standard. For a limited time only, designer kitchen with 42 maple cabinets, crown molding, and hardware, granite countertops, stainless steel appliances, recessed lighting, and hardwood floors in the kitchen and breakfast area is all included!